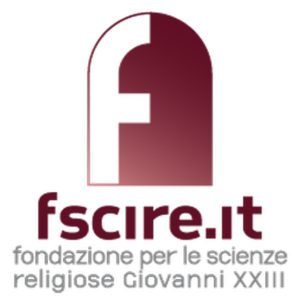 Fscire (Fondazione per le scienze religiose Giovanni XXIII) is offering free access to physical and virtual sources under the guidance of experts in the framework of ReIReS. The FSCIRE archives were established in 1966 with the personal donations of the papers of Giuseppe Dossetti and Cardinal Giacomo Lercaro and were enlarged over the years due to the contributions made for the research project on Vatican II (1962–1965). The archives have become one of the most important sources on this topic. They hold paper documents and audio-visual material relating to the Church and twentieth-century history. Many special collections enrich the Giuseppe Dossetti Library. It is open five days a week and provides scholars with reading and reference rooms extending 900 square metres with circa fifty thousand reference volumes and common use sources. The newspaper and periodical library counts more than two thousand periodicals covering the entire breadth of research in the history of Christianity and religion, exegesis, theology, auxiliary and analogous branches; currently circa 950 periodicals arrive in subscription or through exchange. Every year circa 2,500 volumes are chosen by review in a weekly meeting of the FSCIRE’s research staff. This collection consists of 244 files and about 150 microfilms corresponding to about 9000 frames. There are approximately 13,000 pieces of writing by Roncalli-Pope John XXIII that are held at FSCIRE, as well as 28 volumes of the agendas. The Vatican II archives consist of about 230 folders and a hundred microfilmed documents. A third of the whole material is now also available on magnetic and optical media, in both transcription and picture. The collection has been completely inventoried. A special collection of documents from numerous scholars and advisors (excerpta doctorum Vaticani II) that participated in the council (Karl Rahner, Hubert Jedin, Bede Griffith, Peter Smulders, José Oscar Beozzo, Umberto Betti, Carlo Braga, Jan Brouwers, Edoardo Dhanis, George Jarlot, Carlos Kloppenburg, Afonso Niehues, and others) is completely available to the researchers and fully inventoried. The archives of the Foundation related to the Vatican II also include an audiovisual section that stores approximately 70 recordings – live broadcasts and programs – for a total of about 100 hours of material. Giuseppe Dossetti (1913–1996) was an Italian jurist, a politician and from 1958 onward a Catholic priest. He left politics in 1953. Due to the presence of Cardinal Giacomo Lercaro, Dossetti settled in Bologna where – with a group of colleagues – he founded a library specialized in church history, which is now one of the main holdings of FSCIRE. A research institute developed out of the library, and in a short time gained exceptional dimension, quality and prestige in Italy. The material that Giuseppe Dossetti deposited at the FSCIRE consists of 890 pieces relating to the years 1950–1987, numbered progressively and collected in 15 folders, plus 200 pieces concerning his participation in the council as Lercaro’s advisors. Note: Consultation of this collection is only partially available and requires the authorization of the FSCIRE Director. Shortly after the end of the war, Pope Pius XII appointed Giacomo Lercaro (1891-1976) first archbishop of Ravenna on January 31, 1947 and then the twentieth archbishop of Bologna on April 19, 1952. As member of the Board of Presidency of the Second Vatican Council, and thus holding a decisive role in the Council’s liturgical reforms, he was the first to popularize the theory of a “Church of the Poor” that developed further in Latin America during the 1970’s. Retiring from the pastoral government of his See on February 12, 1968, he acted as Papal legate to the 39th International Eucharistic Congress held in Bogotá, Colombia on August 27 of that same year. This collection includes the documentation relating to the cardinal’s activity. Documents are kept in 4438 folders and cover a chronological period from the beginning of the twentieth century to the death of Lercaro in 1976. Lorenzo Milani (1923–1967) was an Italian Roman Catholic priest. He was born to a middle-class family in Florence (his mother a Jewish woman from Trieste who took lessons from James Joyce and frequented Joyce’s home with Italo Svevo; his father translated the first works of Kafka into Italian). He was an educator of poor children and an advocate of conscientious objection. He was ordained in 1947 and sent to assist an old parish priest in San Donato in Calenzano, near Florence. There he established his first “scuola popolare” (somehow a community school). The fact that it served children from both believing and non-believing families scandalized conservative Catholic circles. In 1954, Milani was sent to Barbiana, a small, remote village in the Mugello region where he continued his radical educational activities, despite both clerical and lay opposition. In his “Letter to Military Chaplains” (“Lettera ai cappellani militari”) and a further letter to judges he advocated conscientious objection. His writings on this subject are recognized as important contributions to anti-military education. Working for a year with his pupils, Milani coordinated the drafting of “Letter to a Teacher” (“Lettera a una professoressa”), which has been translated into approximately forty languages and introduces many significant themes, essentially becoming a denunciation of middle-class schooling as having forgotten the Constitution and having developed the ideal of “making equal parts among the unequal”. This collection includes: a) the epistolary of Milani with his mother that Alice Weiss herself donated to FSCIRE; b) documents belonging to Mario Cartoni (a journalist friend of Milani’s) where material on and about Milani are conserved; c) some correspondence received through personal donations; d) a coeval collection of articles on Don Milani that appeared in Italian and international press; e) the private documents of his sister, Elena Milani; documents on Milani by Giorgio Pecorini (a journalist friend of Milani’s); collection of audio sources; collection of radio sources; collection of audio-visual sources; photographic archives. “Cronache Sociali” was the political and cultural magazine founded and directed by Giuseppe Dossetti. This collection covers the entire lifetime of the magazine (1947–1952) and includes documents relating to other initiatives, such as “Edizioni Servire” and the “Civitas Humana” association. This collection also contains a considerable part of Dossetti’s private archives relating to the years of his political activity (1945–1951). The collection includes 3673 pieces and has been completely inventoried. In 2007 FSCIRE published the reprint and the digital edition of “Cronache sociali” with an introduction from Alberto Melloni. Giuseppe Lazzati (1909–1986) was the director of the newspaper “L’Italia” and the founder of the secular institute “Milites Christi Regis”. This collection is a microfilmed and inventoried copy of the Giuseppe Lazzati Archives that are held at the secular institute “Cristo Re” in Milan. Alberto Altana (1921–1999) was a Catholic priest and the founder of the “Istituto Secolare dei Servi della Chiesa”. He was the pioneer and the prophet of the restoration of the diaconate in Italy after the Vatican II. This collection includes 76 folders that cover the years 1951–1997. Its content is extremely diversified: correspondence, pamphlets, printed texts, material from the Synod of Reggio Emilia in 1984, extracts from newspapers, manuscripts and drafts of speeches. There are also 16 audio tapes and several copies of the constitution of the “Istituto Secolare dei Servi della Chiesa”. Note: The consultation of this collection is only partially available and requires the authorization of the FSCIRE Director. EMI (Editrice Missionaria Italiana) is a missionary publisher based in Bologna whose interests vastly exceed those of missionary practice. Over the years, EMI has published texts such as Nunca más (the report on desaparecidos in Argentina) or Baptism of Blood (the dramatic testimony of Frei Betto under the dictatorship in Brazil) and the documents of III General Conference of the Latin American episcopate (Puebla 1979) in world preview. The holdings preserved at FSCIRE consist of 118 videotapes and documentary films produced by EMI in the last decades. During a special audience on the October 1, 1962, a yellow volume was presented to Pope John XXIII. It was the result of work undertaken between 1959 and 1962 by a small group of researchers (Giuseppe Alberigo, Pericles Joannou, Claudio Leonardi and Paolo Prodi, with the invaluable help of Giuseppe Dossetti and Hubert Jedin) at the Institute for Religious Sciences of Bologna (today FSCIRE). They prepared the volume “Conciliorum Oecumenicorum Decreta”, which was then published by Herder, a few days before the opening of the Vatican II. It included texts of the decrees of the first seven ecumenical Councils, the fourth Council of Constantinople, the five Lateran Councils, the two Councils of Lyons, those of Vienne, Constance, Basel- Florence, Trent and the First Vatican Council (1870). In the third edition (1973) some of the texts belonging to the first Councils were corrected and the decrees of the Second Vatican Council were added. At the end of the 20th Century, it was republished with the addition of facing page translations in different languages, such as Italian, English, German, French and Korean. Inspired by the research and international debates generated by this publication and project, early in the 21st Century FSCIRE decided to produce a new edition of COD and a collection of conciliar documents, a new “Mansi”, in the form of a digital library. The “New Mansi” or “Mansi Digitale” is a database providing access to a variety of council sources in pdf format. Click here for the contents of each volume. The new series “Conciliorum Oecumenicorum Generaliumque Decreta” was intended to offer a better critical edition for the Council decrees, with the collaboration of the most renowned scholars in the world. Such an international, unprecedented research program was offered to and adopted by Brepols in the most prestigious collection of sources, the “Corpus Christianorum”, as a special series under the direction of the late Giuseppe Alberigo and Alberto Melloni. This new series includes the decrees of Councils and synods recognized as ecumenical by one or more Churches, general Councils of the Churches of one or more traditions, as well as Councils which have had a significant importance in the history of the Churches themselves. Canonical reception, theological effect, and scholarly consensus are applied as the main criteria of this work, which is based on scientific parameters and on philological principles. However, just as each scholar needs a definitive edition, the theologian too can trace the proper approach of his or her discipline and confession. The series is composed by seven volumes. The first three volumes – with the ecumenical Councils of the first millennium (COGD I), the Councils of the Latin Christendom (COGD II.1-2), and of the Roman Catholic Church (COGD III) – were published between 2007 and 2013. A three-tome fourth volume – with the Council of the Orthodox Churches (COGD IV) – was published in 2016 and a three-tome fifth volume with editing of the Councils of the Armenian, Syriac and Coptic Churches (COGD V) – as well as the critical edition of the Synods of the Churches of and after the Reformation (COGD VI) will be published between 2019 and 2022 with a volume of indexes and studies. The “History of the Second Vatican Council” is a series from Peeters of Leuven published in five volumes and translated into seven languages: in French by Etienne Fouilloux, in English by Joseph Komonchak, in Italian by Alberto Melloni, in Russian by Andrej Bodrov, in Portuguese by José Oscar Beozzo, in Spanish by Evangelista Vilanova and Hilari Raguer, in German by Claus Wittstadt and Günther Wassilowski. The work has received recognition from the major reviews, including “La Civiltà Cattolica” directed by Cardinal Roberto Tucci. One of FSCIRE’s main areas of research is the “History of the Second Vatican Council”. As a result, one of FSCIRE’s research products, which is now kept in special deposit in the Dossetti Library, are the volumes of the Synopsis and the indexes of the documents of Vatican II. This is an enormous amount of organized data and an essential starting point for any research on Vatican II. In this field of historical investigation, the implementation of critical tools of advanced methodological elaboration led to significant developments and allowed for the publication of research that is free from apologetic deformation and conceptual approximation. Furthermore, the Dossetti Library holds approximately 1,400 volumes of lists of manuscripts held in the most important libraries throughout Europe. This resource is of remarkable value for scholars engaging in philological research. In fact, for decades the Library has supported the works of the critical edition of the “Conciliorum Oecumenicorum Decreta”, followed by the volumes in the collection of “Conciliorum Oecumienicorum Genaraliumque Decreta”. Knowledge of the manuscript source collections held in the main library centers of Europe has been the starting point for hundreds of students and scholars from the University of Bologna and beyond, who have had the opportunity to benefit from the bibliographic resources of the Institute. “Testi e ricerche di scienze religiose” is the historical series of FSCIRE: a total of 80 volumes of which Herder, Vallecchi and Paideia published 24 between 1964 and 1988, and Marietti and Il Mulino published 58 between 1988 and 2018. The last volumes deal with the pneumatology of the council of Basel, the religious mentality of the 19th century and the history of the monastic community of Taizé. FSCIRE printed “I Diari Roncalli” in a critical edition in 2003 starting with the volume “Giornale dell’Anima” and completing the series in 2008. A total of ten volumes permits the reader and researcher to closely follow the activity of the priest, diplomat and then pope John XXIII. Giuseppe Alberigo (1926–2007) was one of the great masters of Church history on the international scene as well as in the Italian milieu, where the state of religious studies was particularly poor in the early fifties. In this situation, the young Alberigo met Giuseppe Dossetti who suggested to a group of young and untrained scholars to move to Bologna in order to start a research community of prayer and study devoted to the historical exploration of the forgotten issue of church reform. Alberigo and his wife Angelina were among the enthusiastic founders of the “Centro di documentazione”, (today FSCIRE) where intellectual and spiritual rigor went hand in hand. There he started his historical training with the two scholars that Dossetti viewed as most useful for his research on the Council of Trent: Hubert Jedin and Delio Cantimori. These three – Dossetti, Jedin, Cantimori – developed Alberigo’s method: their influence is clear in his major books (devoted to the participation of the Italian bishops at the Council of Trent in 1959, the doctrine of collegial power of the bishops in the universal Church in 1964, the cardinalate in 1969, and the ecclesiology of conciliarism in 1981). However, his approach evolved from these studies and became more and more specifically his own: he was convinced that Christianity was historically understandable only for those who acknowledge its historical nature, its doctrinal structures, and its institutional process. Under these premises, church history became not only a way to practice a pure and poor erudition, but also an active part of the process of Church reform, which always needs to explore tradition in order to criticize and reform the sacred traditions that originated in the clash between Church and modernity. This approach remained the marker of the Bologna Institute that during the Vatican II became a think tank for Cardinal Lercaro, for Dossetti himself as an informal expert, and for many bishops and theologians who discovered FSCIRE and its increasingly magnificent library as a place for study and hope. The “Fondo Giuseppe Alberigo” collection of the Dossetti Library is the legacy of the founder and first director of FSCIRE. It consists of approximately 3,000 volumes. The cataloguing of these works in the “Sistema Bibliotecario Nazionale” (Italian National Library System) is near completion. From November, 1 1970 to October, 31 2007, Pier Cesare Bori (1937–2012) was teaching as a member of the Faculty of Political Sciences at the University of Bologna. From the beginning of his teaching activity as a professor in the History of Theology until 1980, he carried on research work as a fellow of FSCIRE. In this period, his research interests focused on the history of exegesis. His historical-critical approach to exegesis had long hinged on the conviction that “Scripture grows with its readers”, and to the full appreciation of “spiritual reading”, as an act of interpretation as much inspired by its animating spirit as is the interpreted text itself. It is this interest in interpretation and the broadening of historical-critical exegesis into wide-ranging hermeneutics that led in the same years to the publication of “L’interpretazione infinita: L’ermeneutica cristiana antica e le sue trasformazioni” (Il Mulino, Bologna 1987), also translated into French. There was a persistent attitude in Bori’s reflection to a positive disposition to natural reality, existence and life. A basic anthropological optimism inspires the conviction that a transcultural ethical consensus can thus be reached across cultural diversity, as it is argued in “Per un consenso etico tra culture: Tesi per una lettura secolare delle scritture ebraico-cristiane” (Marietti, Genova 1991), also translated into English. It is a similar deep anthropological motivation that prompts further enquiries into religious humanism. One and the same absolute principle of spiritual life can be reached through a plurality of pathways across different cultural and religious traditions. This jointly anthropological and religious insight is assumed as his basic hermeneutical principle for the study of Giovanni Pico della Mirandola’s “Oratio de hominis dignitate”, which subsequently led to the publication of the book “Pluralità delle vie. Alle origini del Discorso sulla dignita umana di Pico della Mirandola” (Feltrinelli, Milano 2000). The “Fondo Pier Cesare Bori” collection is the book collection of Pier Cesare Bori. It is made up of 276 volumes, all catalogued in the “Sistema Bibliotecario Nazionale” (Italian National Library System). The “Fondo Cappuccini” collection consists of a total of 7,100 volumes, of which 300 originate from the Capuchin Convent of Bologna where they are held in duplicate. The editions of the works vary from the 17th to the 20th century. It is of considerable antiquarian interest that at least 2000 of these volumes date back to the 17th and 18th century. Furthermore, the collection is enriched by three 16th century editions in good condition. The library collection of SS. Salvatore in Bologna held in the Dossetti Library is composed of over 2,300 volumes printed between the 16th and the 19th century. They are what remained in the Bolognese complex of SS. Salvatore following the work carried out on the Archiginnasio Municipal Library in 1886. Of these works, 34 are 16th century editions, 110 are 17th century editions, 760 18th century editions and over 1400 are from the 19th. The interlibrary loan service, according to the framework of the National Library System. Access card to the libraries in Bologna. A personal workstation available throughout the period of stay. A one-day training course which includes reception of users and introduction to services and facilities, and assistance in the use of the resources and documents connected with the collections. Constant assistance from specialists in the research field for which access has been requested, involving the introduction of users to the bibliography concerning the documents preserved in the archive and assistance and guidance in the use and interpretation of the data. An accommodation at the FSCIRE guesthouse “Collegio Internazionale Beniamino Andreatta” which is located only a few steps away from the main building. It houses six spacious single rooms and one double room (all equipped with bathroom) and a fully equipped kitchen with a dining area.